The Brighton & Hove Albion manager made five changes against his former side as the Seagulls went down 2-0 and continued their Wembley woes. After a 5-1 thumping at home to Liverpool and 2-0 defeat at Huddersfield, captain Bruno, Markus Suttner, Izzy Brown, Pascal Gross and Glenn Murray all made way in the starting XI. Coming in for his first start of the season was Kayal, along with the recalled Anthony Knockaert, Jose Izquierdo and Tomer Hemed, but it didn't stop the Seagulls extending their winless run to six Premier League matches. On the changes, Hughton said: "Bruno has been a consistent right-back through the season. That was the first game he has missed. With the other changes it was a combination of us playing three games in a week and not having done so well in the last games. "They weren't necessarily about Saturday, but a combination of the last couple of games. But with Bruno in mind then yes, a change for Saturday." 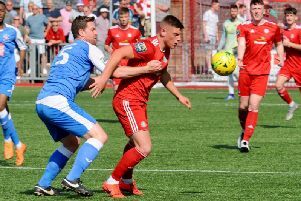 Midfielder Kayal also made his league debut having been out since the summer with a broken leg and Hughon was pleased with his contribution as he played just under 80 minutes. The boss added: "One pleasing aspects was Beram Kayal playing his first game of the season and I thought he did well and acquitted himself well."